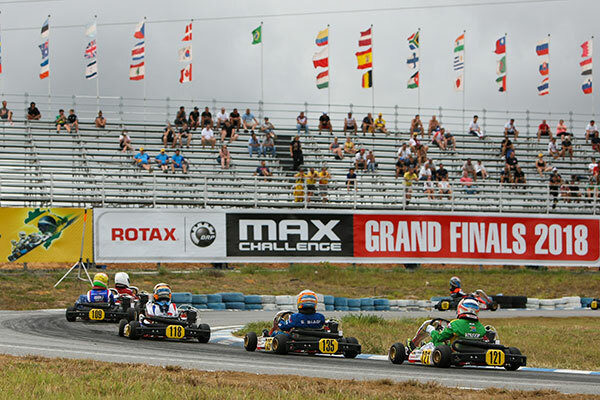 Welcome to the third day of the 19th Rotax MAX Challenge Grand Finals here at Circuito International Paladino. Tuesday provided the second day of thrilling on track action with each driver competing in 3 more non-qualifying practices. For the first time this week a wet track welcomed the teams and drivers as the gates opened for the day, but had already started to dry before the Micro MAX class hit the track. True to form though the heavens opened and the Junior, Senior and DD2 classes both had to make the decision on whether to run slicks or wets after what was probably the most amount of rain to hit the Grand Finals this week so far. What may seem a simple decision from the outside is made that bit more complicated when you take into account that the teams and drivers have to consider the wet tyre allocation for the week ahead coming in to official qualification and then racing itself. By the end of all NQ-Practice 6 every class had experienced a taste of a wet track either with wet or slick tyres. This means a team’s strategy this early on in the event could already have played a part in the future of a driver’s performance. 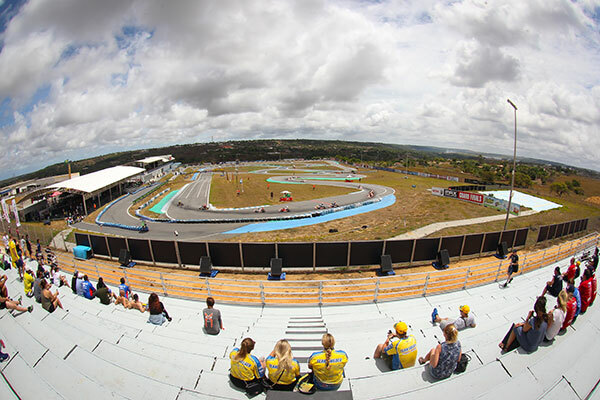 The weather has definitely made a large impact on the meeting so far but with only one more non-qualifying practice left tomorrow and then heading into the vital Qualifying practice and racing, the teams and drivers will certainly be keeping an eye on the forecast overnight. 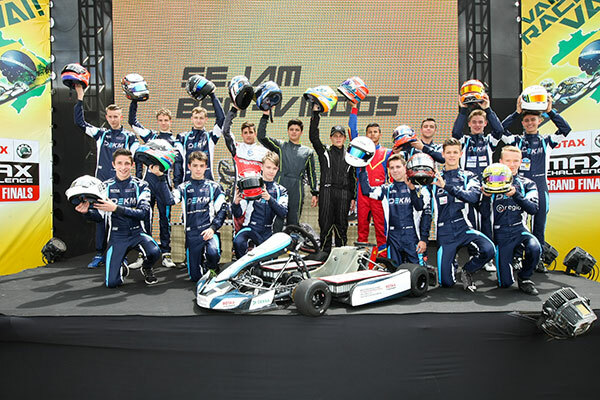 The youngest drivers seemed to be hit with the worst of the weather conditions with every session being affected by either a wet track or the rain except the last session. Both NQ-Practice 5 & 6 saw the same two names at the top of the time sheets with Belgium’s Douwe Dedecker (59.421) beating Poland’s Maksymilian Obst (59.438) by less than a tenth in each session. A different driver topped each session today in the Mini MAX field which showed the depth and competitiveness of the class. Fastest time overall was a 56.962 by Dani Van Ruiten with a 56.962 followed closely by France’s Augustin Bernier on 56.966. 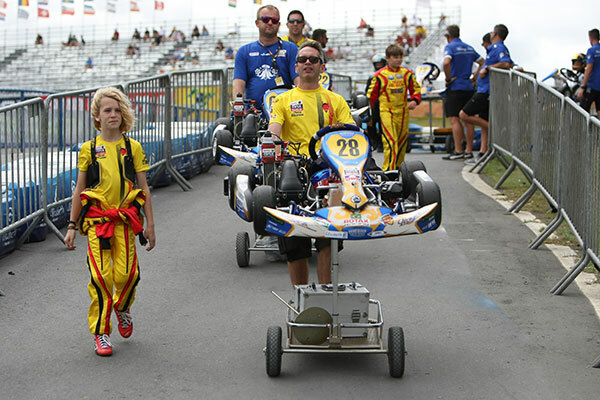 In the Junior MAX class the only driver able to clock the fastest time in more than one session was Esteban Masson from France with 53.334 in the last dry session. When the track was wet it was Australia’s Jaiden Pope that managed to find the grip that others didn’t early in the day. The first Senior class out on track was also hit by the weather which meant that the two fastest times of the day were seen in the NQ-Practice 5. Austria’s Mario Novak managed a 52.682 ahead of James Lowther from the UK with a 52.682. Later in the day in his last session Zac Stitchbury posted a 52.799 to prove he is one to watch in his first Grand Finals event. The DD2 Masters came out fighting and brought the competition to Matthew Hamilton (52.885) from New Zealand who although was fastest in two of his three sessions was beaten to the fastest time of the day by less than 0.1 seconds by Finland’s Antti Ollikainen (52.832). 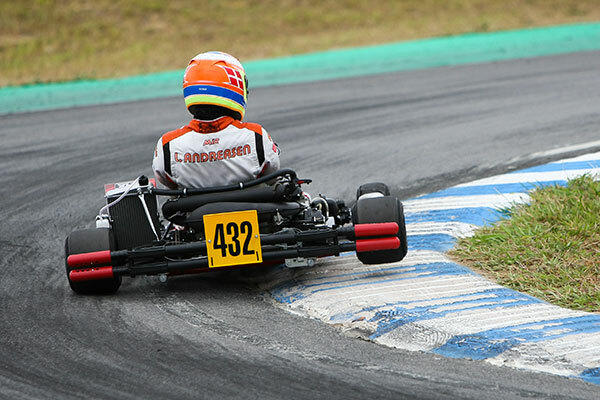 Four-time Rotax MAX Challenge World Champion, Christiano Morgardo showed he is back to fight for another crown by showing the fastest pace in the wet session with a 1.06.782. Another driver to continue his good form from yesterdays practice was Australia’s Ryan Kennedy who managed to be fastest in all but one of his group sessions today. Daniel Formal achieved the same feat if only just slightly off Kennedys 52.117 with a 52.294. The first Non-Qualifying practice of the week took place towards the end of the day and it was Roberto Da Silveira who showed that his experience of the circuit here from the previous days racing in the American Series will benefit him against the EKM drivers that he will race against this week. Karim Hussein Bock however proved this advantage will not matter for long when he managed to post a time only 0.019 behind. Once the track action had finished for the day it was the turn of the Race Director to brief all of the drivers on the procedures and expectations of them tomorrow once competition starts. There will be one final Non-Qualification Practice ahead of the Official Qualification which determines the start positions for the Heat Races. The close times and depth of talent already seen here this week, combined with the unpredictability of the weather, promises some great and exciting racing to come.